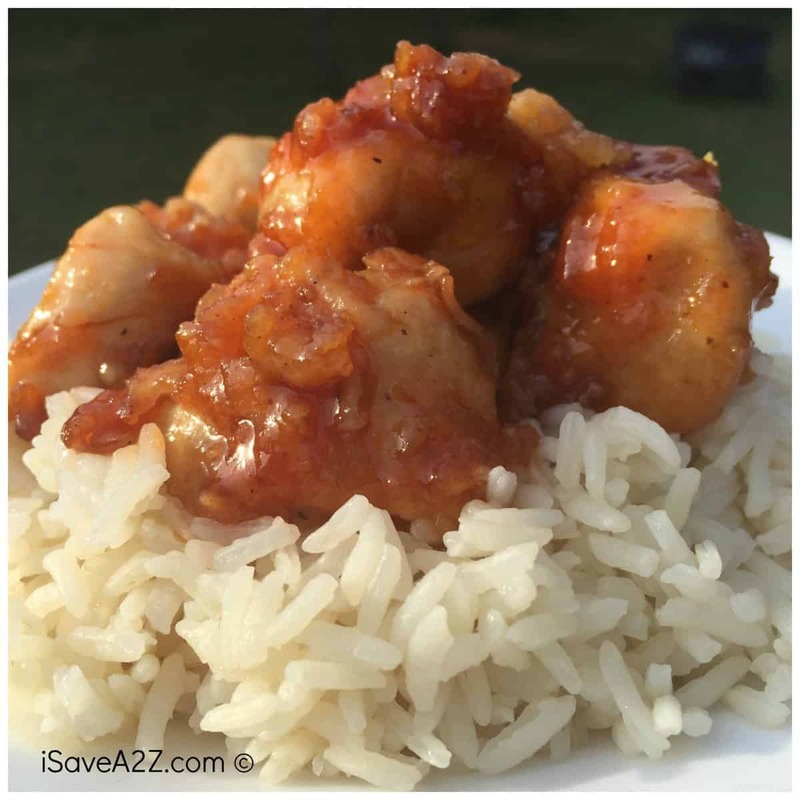 I love simple recipes and better yet, I love when there are just a few simple ingredients like this 3 Ingredient Orange Chicken Sauce we just made. 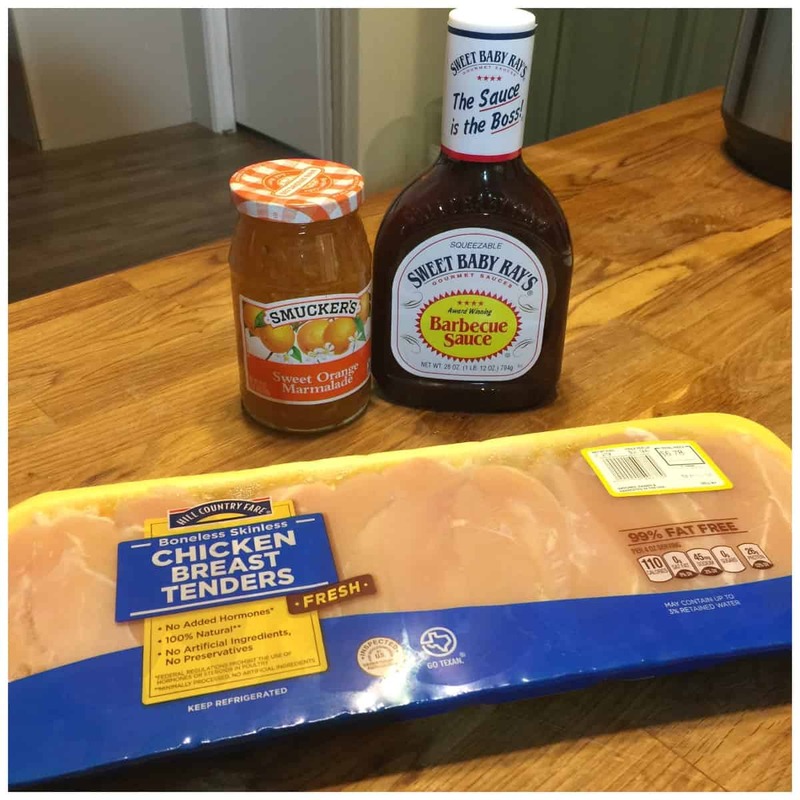 If you have orange marmalade, soy sauce and some barbecue sauce on hand then you can make a super simple sauce that will give that chicken a lovely flavor! Basically you can cook the chicken any way you desire. One you finish cooking your chicken you will heat this sauce up and pour it over your dish to complete the meal. 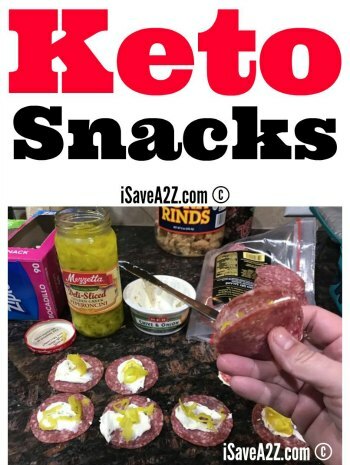 I’ve done this recipe in the crockpot and it’s fabulous. Cooking it in the crockpot is easy. I add about 4 chicken breasts with a cup of chicken stock and cook it for about 3 hours on high or about 5 to 6 hours on low. Once the chicken is done, I drain all the juices and add the sauce ingredients to the hot pan. 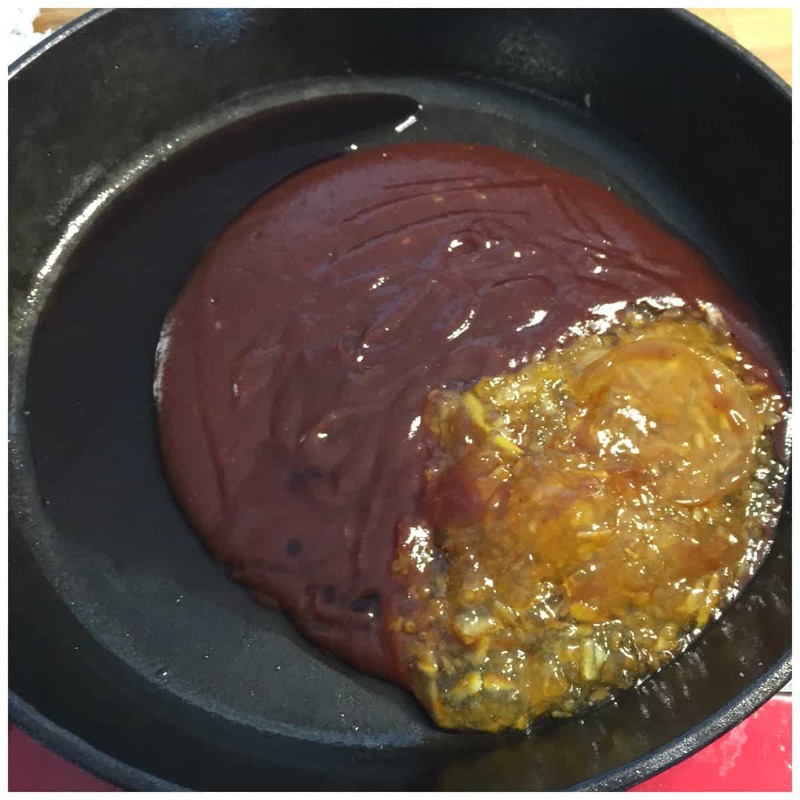 It only takes about another 20 minutes for the sauce to come together. I like to serve orange chicken over rice. 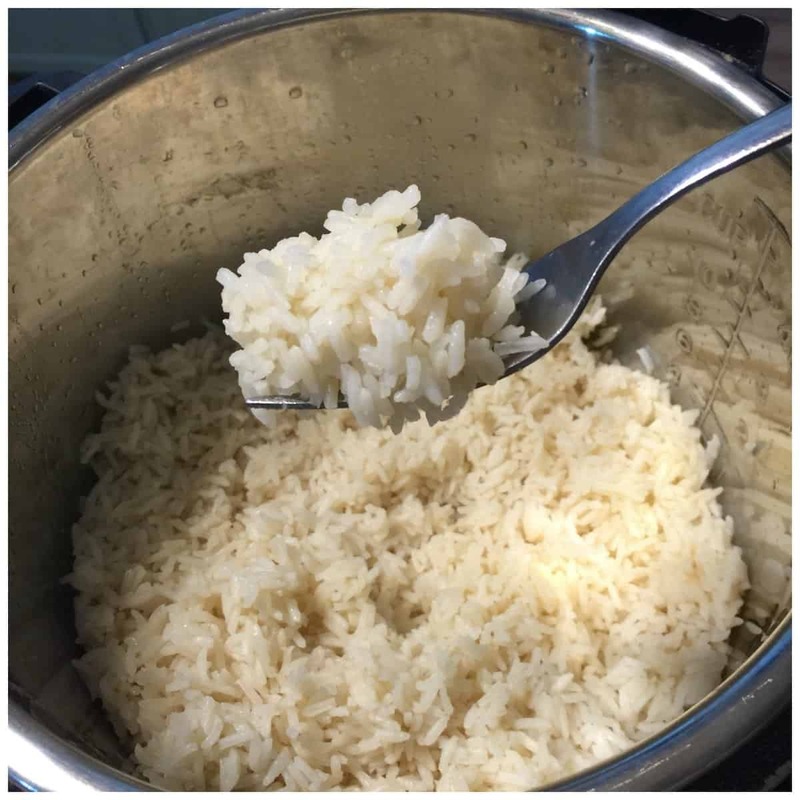 Rice is really easy to do in the Instant Pot Electric Pressure Cooker too. 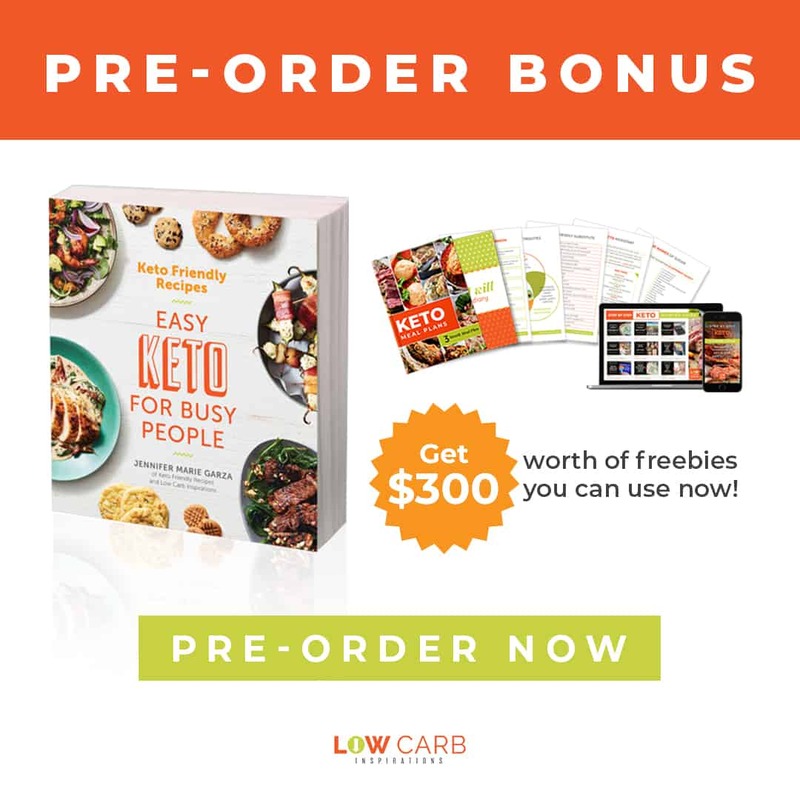 It only takes 3 minutes! 1 cup of rice to every 1 1/2 cup of chicken stock. Cook it on high for 3 full minutes and then let it do a natural release of the steam for another 10 minutes. This gives you perfect rice every single time. 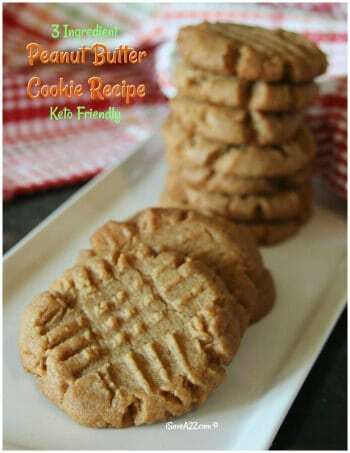 You can double this recipe without adjusting the cooking time on the Instant Pot Electric Pressure Cooker too. Now let me tell you the way I like to make my Orange Chicken Recipe. I prefer to have a light crispy coating on my chicken so that it will keep more of the sauce on the chicken. 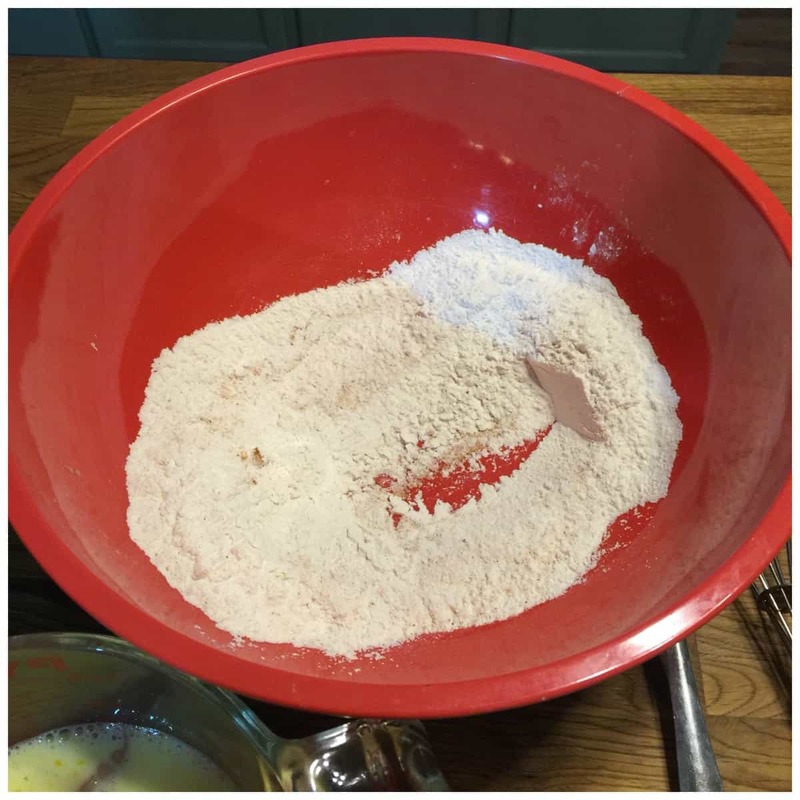 I do this by using a egg mixture and dusting the chicken with a little flour before I fry it up. Cook the chicken any way you want. Combine the 3 ingredients above and simmer for about 15 to 20 minutes until the sauce has heated. Mix these ingredients until it is well combined. Pour over cooked chicken and serve warm. 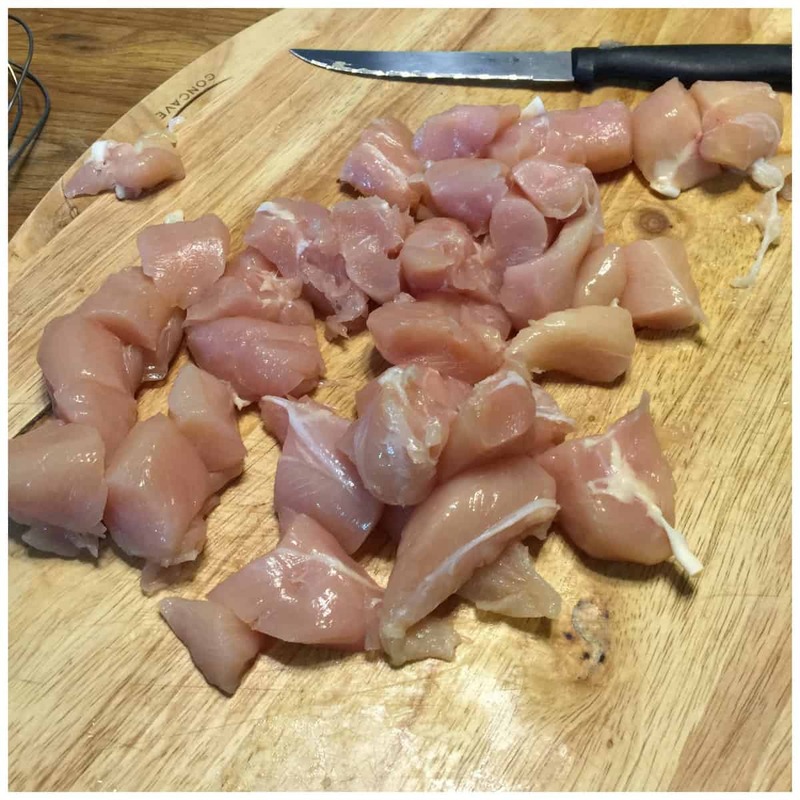 For this recipe I prefer to cut up the chicken breast tenders into chunks. 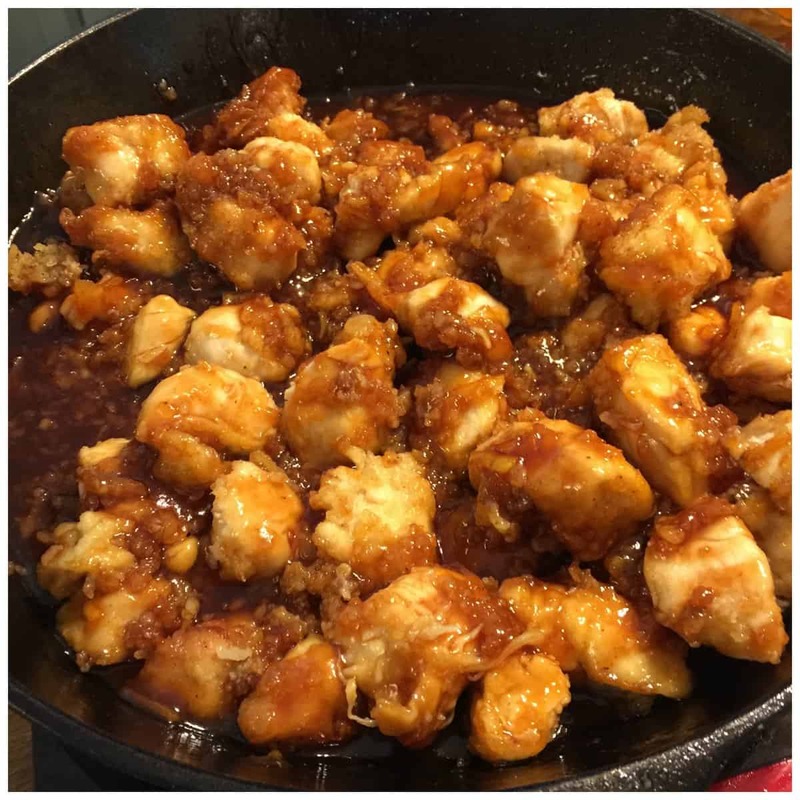 I prefer this method fore this 3 Ingredient Orange Chicken Sauce Recipe because when the pieces of chicken are smaller it holds more orange sauce per bite. I made an egg mixture by whipping up two eggs and adding 1 cup of milk. I put a handful of chicken breast chunks into the egg wash mixture. Then I toss the chicken chunks from the egg wash to a separate bowl that has the flour and Season All seasoning in it. Make sure each piece of chicken is completely covered in flour. 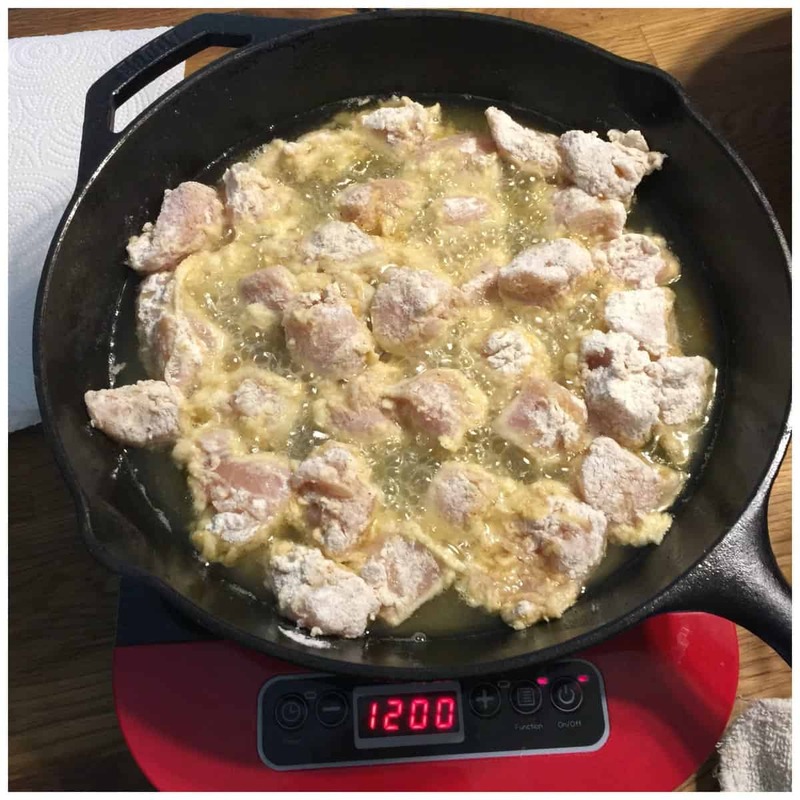 Once I have all of the chicken breast chunks covered in the egg wash mixture and lightly dusted with flour, I add them to a medium sized frying pan with oil that has already been heated up on medium heat. 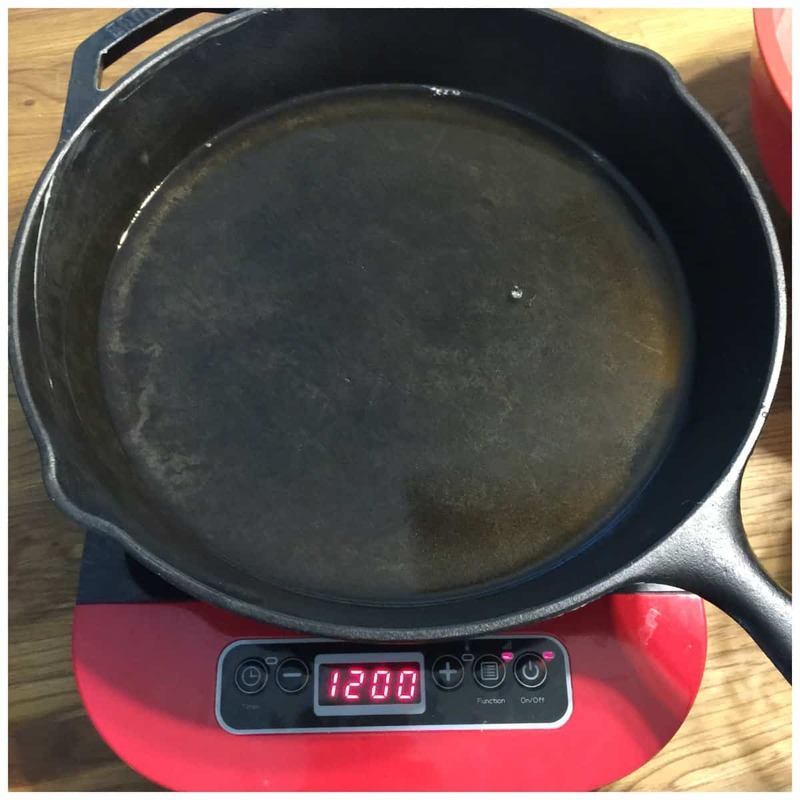 I make sure the oil completely covers the bottom of the pan. I didn’t measure the oil but I imagine it was about a full cup of oil. Gosh, I love using my 12 inch cast iron skillet. It makes the crust on just about anything taste 10 times better than a normal frying pan. I cook the chicken just enough to brown it on both sides. This is about 3 to 4 minutes on each side. I cut a larger piece open to make sure it is white in the middle. If it’s still pink in the middle, it’s not done. After I fully cook all the chunks of chicken, I place them on a plate that has a napkin on it to capture the extra oil as it cools off. 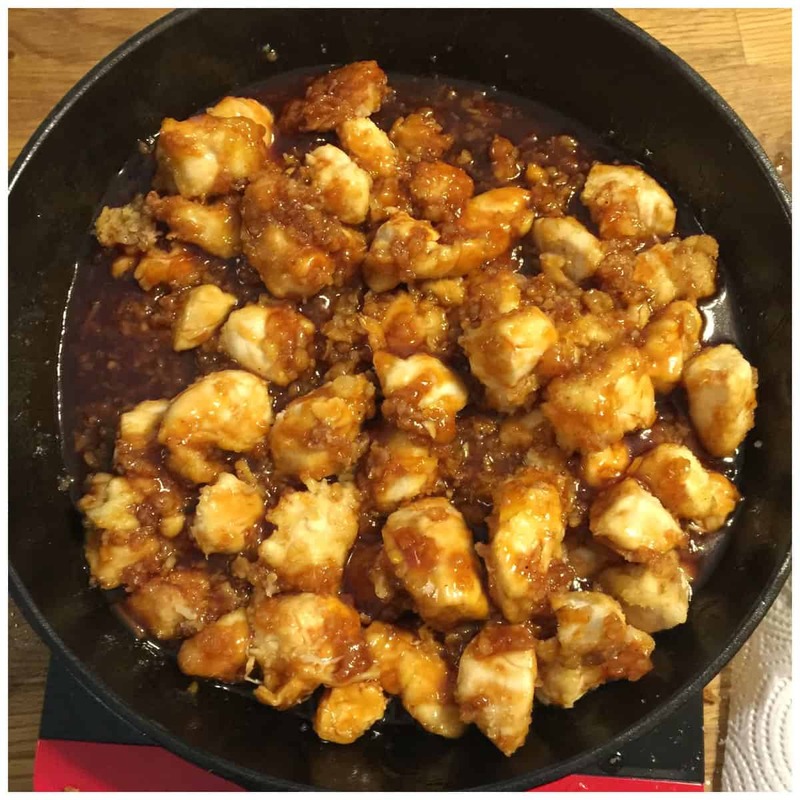 I wipe the same frying pan clean while it’s still hot and then I add the 3 Ingredients for Orange Chicken Sauce and cook it on medium heat for about 15 minutes. I stir it until all the ingredients have been completely combined and the sauce is hot. 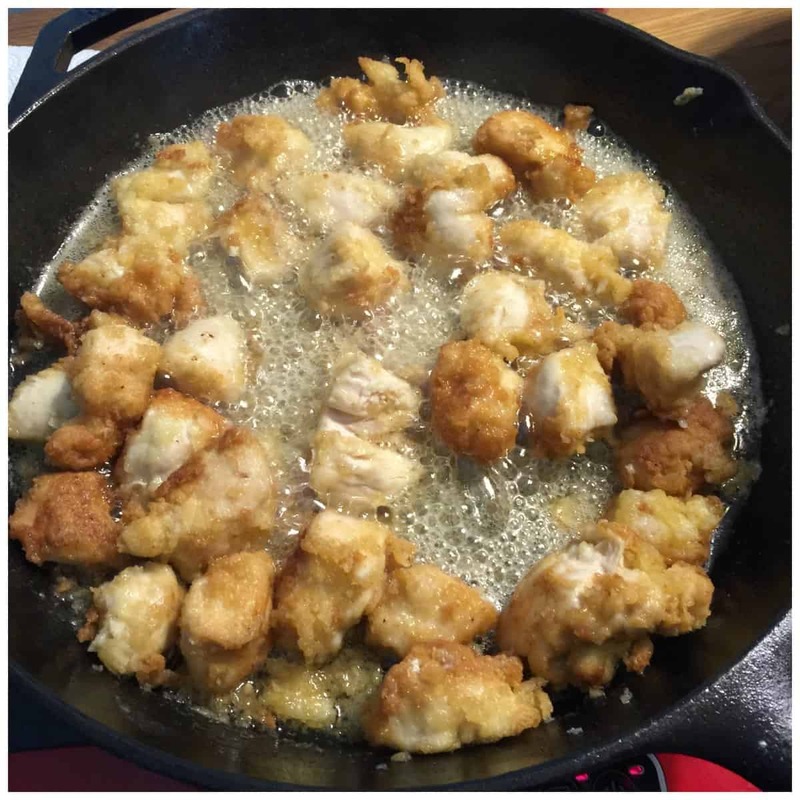 Lastly, I toss in the cooked fried chicken breast pieces into the sauce and serve it up over a plate of white rice! YUMMY! Man, doesn’t that look good? My mouth is watering just thinking about it! 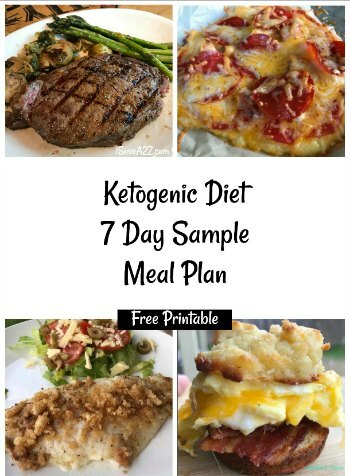 Now serve it up with some white rice and you have one heck of a meal! Feel free to pin it on Pinterest for later! 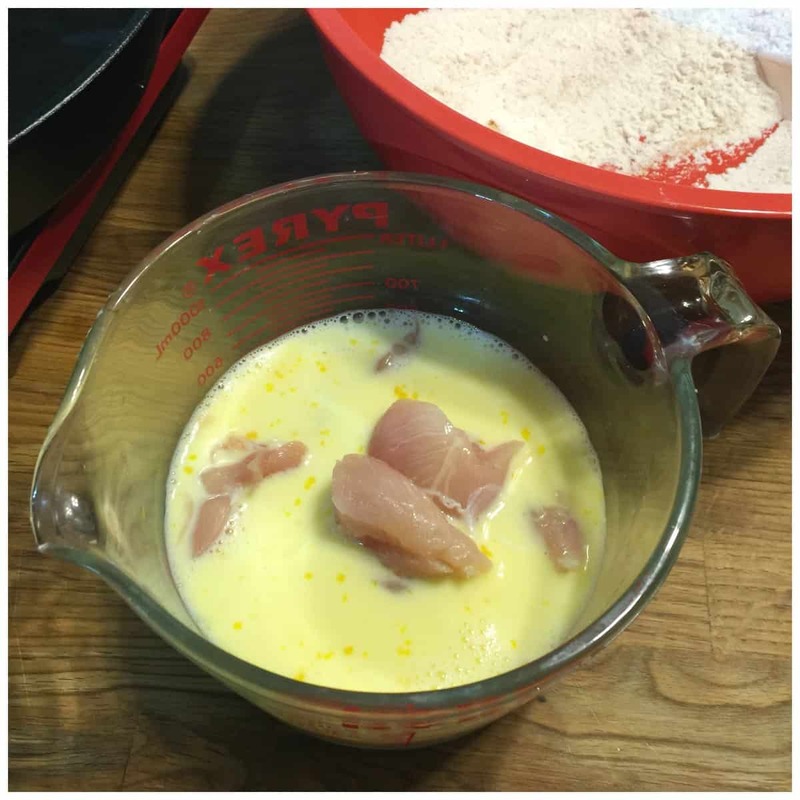 By Jennifer on September 13, 2016 Chicken recipes, Main Dishes, Recipes.